It makes perfect sense that the Tesla Model S and X would eventually adopt some of the Model 3's most innovative features. There's been much talk about a Tesla Model S redesign at some point in the near future. Eventually, the Model X will come due as well. With this being said, people have speculated that some of the new features in the Model 3 would likely find their way into its larger siblings. Well, with over-the-air updates, Tesla can make changes happen well ahead of any official redesign. This is part of the reason that the automaker doesn't rely on model years or need to be in a huge hurry to refresh its models (they're refreshed continuously not only due to OTA updates but also as hardware changes are made periodically during production). As we've pointed out before, Tesla CEO Elon Musk sometimes asks owners for improvement suggestions via Twitter. Other times, he doesn't have to ask. People are constantly offering ideas, and Musk seems to be closely watching social media to act on those that he deems viable. This will work on entire S & X fleet, even first production units. Cool thing about software upgrades is that we can keep making your car better long after you bought it. Current Model S and X owners use a traditional key fob (although it's shaped like a car) to lock and unlock the vehicles. 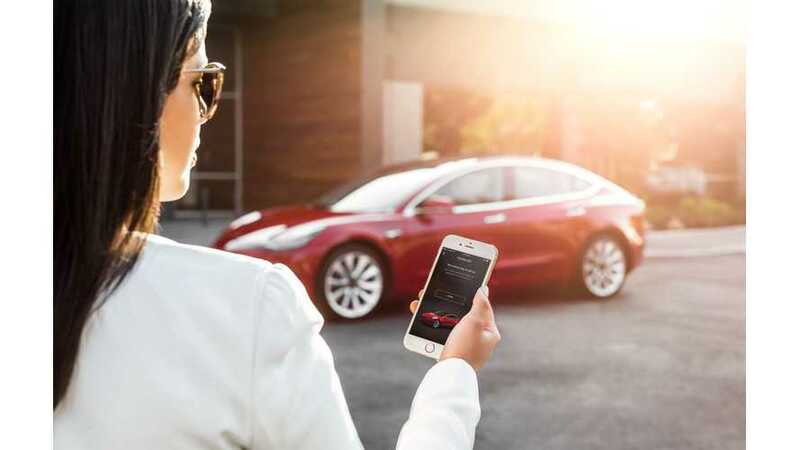 The Model 3 uses a credit-card-like key card, but can also be opened via a smartphone app and Bluetooth. After the initial setup, owners simply need to approach the vehicle with the phone on their person and it will interact with the car.